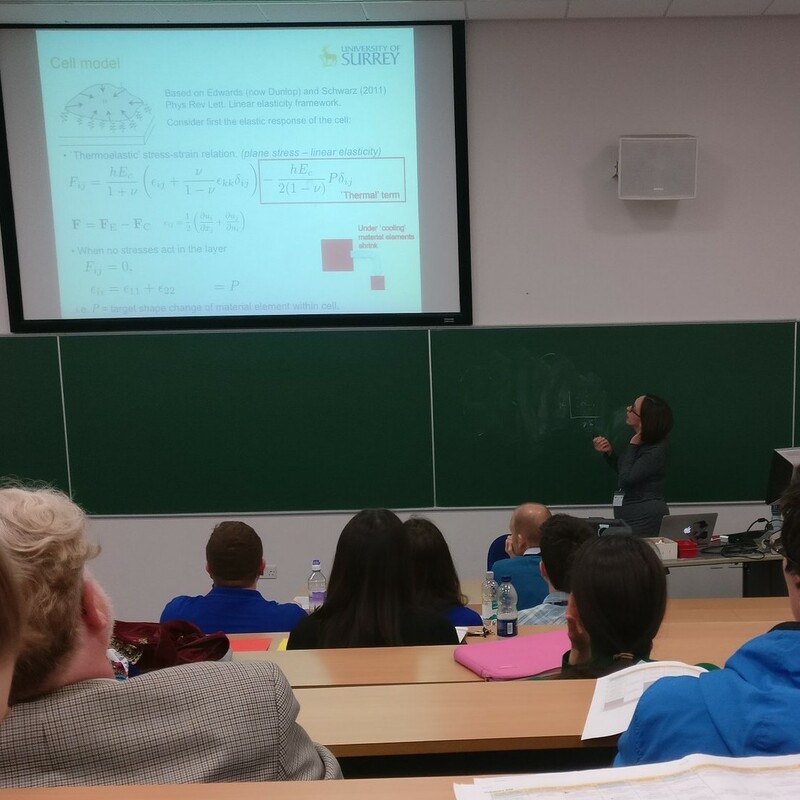 Day two of the 2017 British Applied Mathematics Colloquium took place on Tuesday 11 April at Surrey. The two plenary speakers were Rebecca Hoyle (Southampton) and Beth Wingate (Exeter). In addition there were over 20 minisymposiums with over 100 talks. The conference banquet took place in the evening, accompanied by a full moon, with Alan Champneys (Bristol) giving the after dinner speech. Talks were given by Surrey participants Bin Cheng, Carina Dunlop, and Daniel Ratliff. The picture below shows Carina giving a talk in the Cells and Biomechanics Minisymposium.